There’s a hidden epidemic you likely haven’t heard about … yet. Right now 7 billion people live on Earth. And right now, nearly 2 billion of them are deficient in the essential trace mineral iodine (1). This means that nearly one-third of our entire planet is at risk for developing serious health conditions that can stem from iodine deficiency, such as hypothyroidism. And even if iodine deficiency doesn’t manifest as full-blown hypothyroidism in some people, it’s still been linked to serious health symptoms, such as anxiety and depression (2). Why does iodine matter? Because it’s the trace mineral your thyroid depends on to produce the thyroid hormones T3 and T4. T3 and T4 help regulate key functions in your body – including metabolism and energy production. But without enough iodine, your thyroid simply can’t synthesize these critical hormones. You can probably guess that when your thyroid gland begins to underproduce thyroid hormones due to a lack of iodine, the results aren’t pretty. Not only can a condition called hypothyroidism result, but your overall quality of life can become greatly impacted, since iodine deficiency reduces your energy production, slows your metabolic function, and can negatively affect your health as a whole. Now, let’s take a closer look at what iodine deficiency and hypothyroidism looks like, and how it could be affecting you. Being diagnosed with hypothyroidism means that your thyroid gland isn’t producing enough of the thyroid hormones T3 (or triiodothyronine) and T4 (thyroxine). The most active form of the thyroid hormone in the body is T3. In addition to producing energy and keeping your metabolism humming, your thyroid hormones also play a role in growth and development, which includes cell and tissue repair (3). Can you imagine falling and scraping your knee, and waiting six weeks for it to heal? This is a reality that can occur from hypothyroidism. An underactive thyroid in young children can also lead to stunted growth, slowed maturation, and slow mental and emotional development. It’s possible to have an underactive thyroid gland without being diagnosed with full-blown hypothyroidism. And often, the root cause of an underactive thyroid can be complex and it differs for each person. We’ve talked a lot about iodine deficiency and hypothyroidism so far, but the thyroid gland also relies on the pituitary gland to produce a hormone called TSH, which signals the thyroid to produce T3 and T4. This means that an underactive thyroid can also result from an imbalance of other hormones, not just thyroid hormones (4). 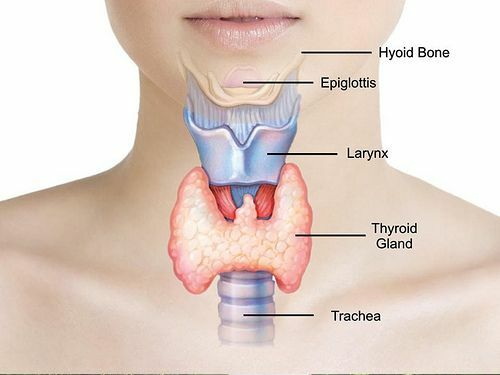 One of the most common symptoms of hypothyroidism is the presence of a goiter, which is the enlargement of the thyroid gland that occurs right near the throat. 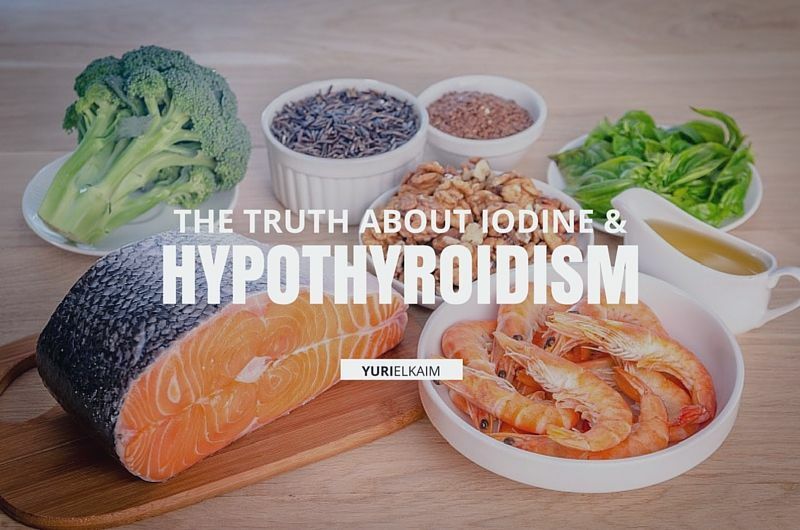 Iodine deficiency is the most obvious cause of hypothyroidism, but hypothyroidism can also be the result of having a pre-existing autoimmune condition, such as Hashimoto’s disease. Hashimoto’s is an autoimmune condition where the thyroid gland is constantly under attack by the body, which leads to chronic inflammation, hypothyroidism and further hormonal complications, such as infertility (6). Some prescription medications are also thought to lead to suppress the thyroid and may result in hypothyroidism, such as rexinoids which are used to help treat cancer (7). Hypothyroidism can occur in anyone, at any age, in any part of the world. That being said, hypothyroidism has been widely studied across the globe, and findings have shown that cases are most common in countries where iodine deficiency is most prevalent, such as India (8). Iodine is found in foods such as sea vegetables (especially kelp, arame, kombu, and wakame) as well as seafood, fish, and navy beans and some fruits and vegetables, such as strawberries and corn. However, the richest sources of iodine are different varieties of seaweed and seafood. This explains why some countries have an abundance of iodine in their diets (such as Japan), while others have a greater risk of deficiency. While iodine is the primary nutrient your thyroid needs to produce the thyroid hormones, it also depends on a few other specific nutrients to help with T3 and T4 synthesis. One of the primary thyroid-supportive nutrients is L-tyrosine. L-tyrosine is an amino acid that the thyroid gland also uses to stimulate T3 and T4 production (9). It’s less common to be deficient in l-tyrosine, which can be found in foods such as chicken, turkey, beef, eggs, and legumes. However, an underactive thyroid may still benefit from receiving additional l-tyrosine through your diet and nutritional supplementation. Please note that before adding any new supplements to your diet, it’s always best to consult with your doctor or healthcare practitioner first – especially if you’re uncertain about the functioning of your thyroid. Another nutrient needed by your thyroid is the trace mineral selenium. We only require very small amounts of selenium from our diets, but nonetheless, it’s an essential nutrient that can cause detrimental effects to our hormones if we’re deficient in it. One important function of selenium is to help the body convert T4 to T3 (10)(11). Selenium has also been shown to prevent an enzyme called thyroid peroxidase from accumulating in the blood. Thyroid peroxidase is the enzyme detected in blood tests when the immune system is attacking the thyroid gland, in the case of the autoimmune thyroid condition Hashimoto’s (12). This finding alone expresses how crucial a role selenium has in thyroid health, in addition to iodine and l-tyrosine. Another interesting finding is that selenium may also help promote the body’s ability to absorb iodine and l-tyrosine by reducing inflammation in the digestive tract (13). When inflammation in the gut is decreased, nutrients crucial to hormonal health can be better absorbed and assimilated, which can further promote healthy thyroid function. Selenium can easily be obtained in your diet through food sources such as brazil nuts (which are considered the highest dietary source), chia seeds, beans, mushrooms, and brown rice. I discuss in detail the importance of selenium to thyroid health in this post. It should be noted that while iodine deficiency is required for a healthy thyroid, too much of a good thing is a bad thing. Excess iodine consumption has been shown to suppress the release of thyroid hormones, too (14). And I hate to sound like a broken record, but for this reason, it’s always important to get your thyroid levels tested before making any changes to your diet or taking any new supplements. To determine if you have an overactive or underactive thyroid, your doctor can administer various tests to check for the levels of thyroid hormones in your blood. Thyroid tests should test for TSH, T4, and T3 levels. Your doctor may also administer an antithyroid antibody test, which can test for Hashimoto’s disease (15). These tests can be administered by your medical doctor, and may be covered by your health insurance. Managing hypothyroidism or an underactive thyroid through your diet is as simple as incorporating more nutrient-rich foods that promote gut health for better nutrient absorption and that support overall hormone balance. These foods are also ideal to include in your diet when eating for energy. These help reduce inflammation in the gastrointestinal (GI) tract and in other parts of the body. Omega 3’s are found abundantly in hemp hearts, wild-caught salmon, and nuts and seeds. I have many suggestions on how to eat hemp seeds (and make them taste delicious) in this blog post: 8 Yummy Ways to Eat Hemp Seeds. Fermented foods contain probiotics, which help heal your gut lining while offering your body essential vitamins and minerals for overall hormone function. The best probiotic foods I recommend are coconut yogurt, apple cider vinegar, and sauerkraut. 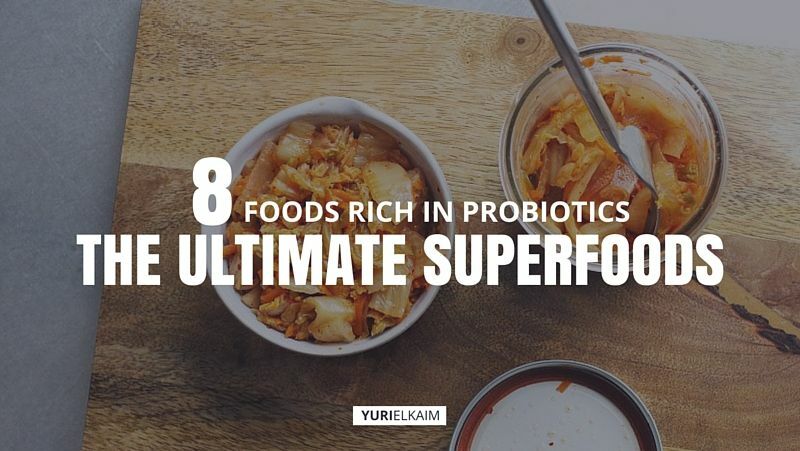 If you’d like to learn more, I have a comprehensive list of the 17 Recipes for Probiotic-Rich Foods. Fiber helps maintain hormone function because it promotes cleansing of the GI tract to remove excess hormones that can disrupt the body’s overall hormonal balance. Green smoothies are one of the easiest ways to increase the fiber from your diet. They’re also easy on digestion, since the tough fiber is broken down by blending. If you’re in need of some smoothie inspiration, here’s one of the easiest ways to get started – that supports thyroid health with plenty of fiber, vitamins, and minerals: Easy Green Smoothie Recipes. While some foods can support thyroid function, other foods may tamp down activity by the thyroid gland, such as soy products. As you can see, iodine deficiency is a common contributing factor to hypothyroidism, or an underactive thyroid. 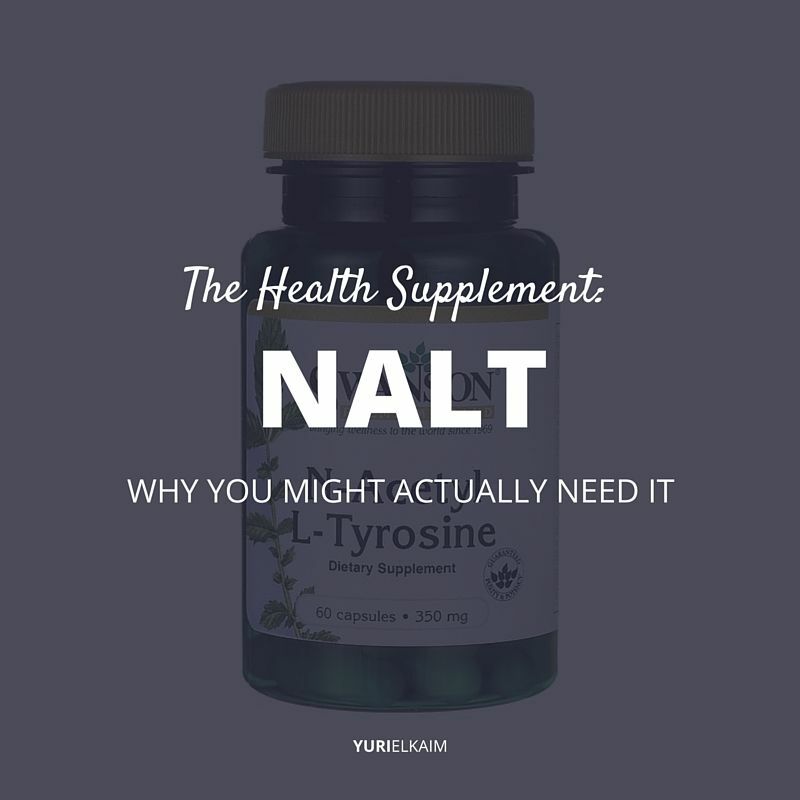 But since iodine works with other nutrients such as selenium and l-tyrosine to help produce the thyroid hormones, it’s important to consider proper nutrition and its relation to the thyroid as a whole. By receiving these key thyroid supportive nutrients from your diet, you’ll not only help support your thyroid gland, but the functioning of every other hormone in your body, since they all work so closely together. Since your hormones are responsible for nearly every function in your body, just imagine the increased energy and sense of well-being you will feel when your hormones are functioning optimally.